The Bentsen - Rio Grande Valley State Park celebrates 50 years in operation on December 1, 2012. The celebration starts at 10 am and ends at 3 pm. The park will have free admission to the public during the event. 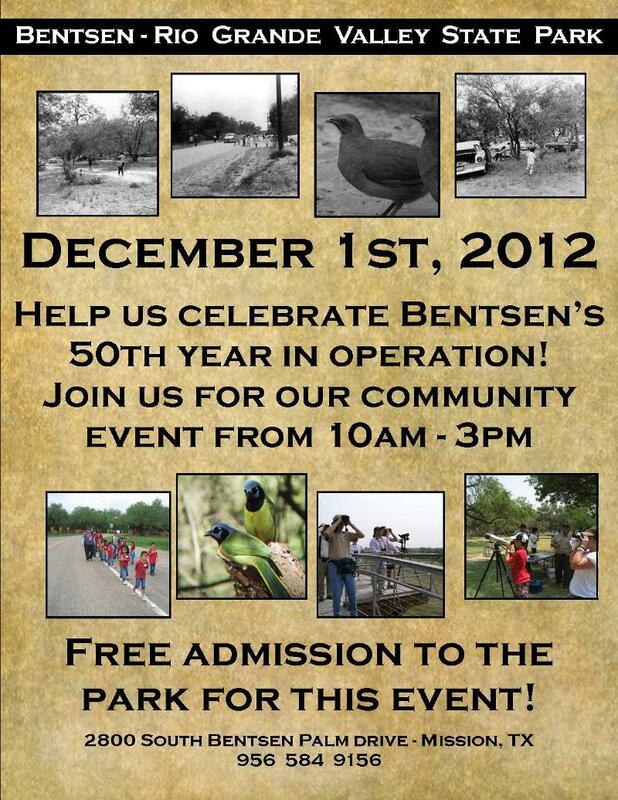 Bentsen - Rio Grande Valley State Park is located at 2800 S Bentsen Palm Drive in Mission, Texas, which is at the southernmost end of that road.